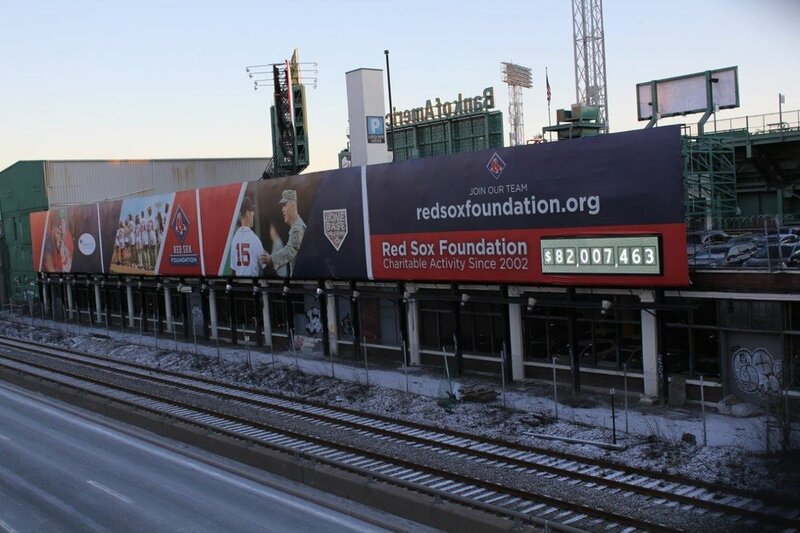 Sansi North America (SNA) retrofitted an outdated numerical ticker for the Boston Red Sox Foundation with a full color outdoor LED video display. The LED screen is located beyond the left field wall of Fenway Park and faces traffic on the Massachusetts Turnpike. The LED billboard is also visible to traffic heading east and west on Interstate 90 as well those travelling on the bridges of Brookline Avenue and Beacon Street. The LED display portion of the billboard is approximately 4'9" high by 19'11" long. SNA installed outdoor 20 mm LED technology. The screen consists of 72 pixels high by 304 pixels wide and is capable of displaying full color imagery and motion as well as the incremental digits representing funds raised by the official charity of the Boston Red Sox. For the retrofit project, SNA worked with Poyant Signs of nearby New Bedford. 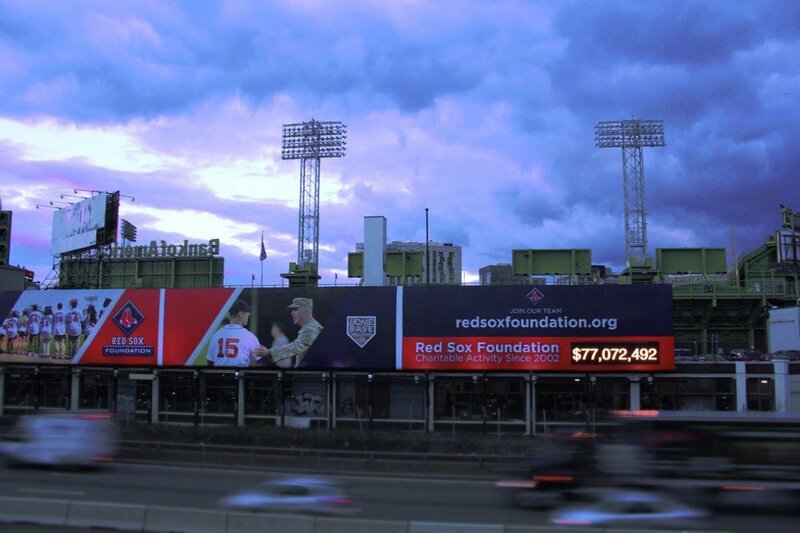 The foundation's LED display is one of several of SNA's LED projects around Fenway Park. An exterior billboard at Ipswich and Lansdowne is located atop the Ipswich garage. Additionally, SNA installed an LED digital billboard just outside of Fenway Park at 49 Lansdowne.